Why does Google pay not work on my p20 pro. I have deleted app. Reset phone. Etcetc the app loads. Registers the card and when I try I near a card machine. Doesn't do anything. It is quite frustrating unable to use it. As I use to use it alot with my note8. Any solution. 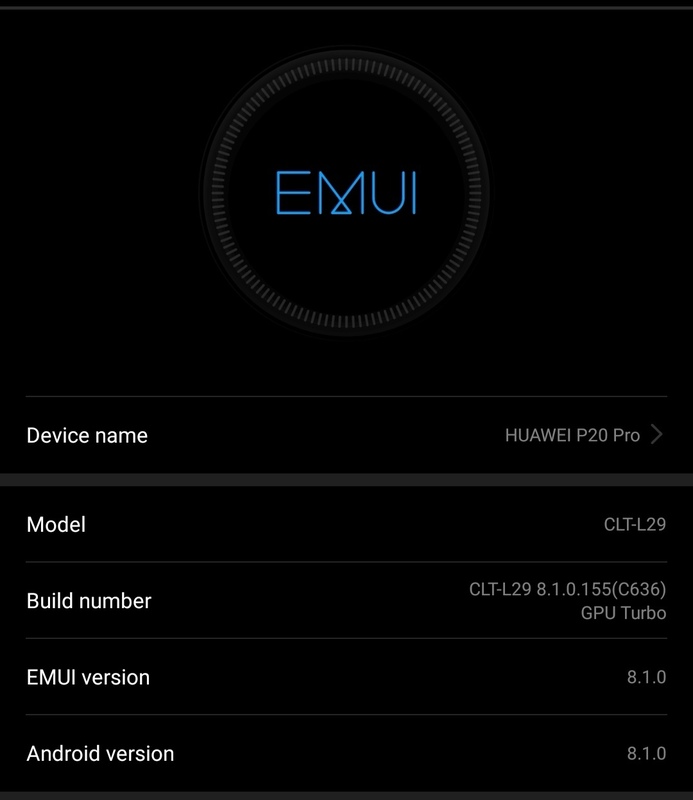 I own a p20 pro too. I've tried everything and nothing worked. (play beta, updating settings, manual battery control etc.) Until I've come across a workaround. Just put your sim card into slot 2 instead of slot 1. And it started working with no glitch. Hope this helps! This issue may have been caused by the fact that Google Play services was automatically updated to the latest version. This version is not compatible with Android Pay. In this case, what you can try to do is restoring Google Play to its factory version. To uninstall the update, go to Settings >Apps & notifications > Apps > Google Play services, and touch the three dots the upper-right corner of the screen. You can then touch Uninstall updates to uninstall. At the same time, if you would please send me a few details in a private message, so we can report this matter to our research and development team. Please do not post any of these details on this discussion. To send a private message, simply click on my name in the discussion post. In the new page that opens, click on "Send message". Please try the instructions provided and I'm looking forward to receive the details from you! You have got nfc turned on yeah?? I wish it was as simple as my nfc was not on... I work in the phone industry and a tech advisor as well.. And done everything thing that can be done. Even the mentioned uninstall updates business still not working. Works fine on my work phone which is a S9 plus. Were you able to resolve this in the end? I am suffering from the exact same issue. Swapping my Vodafone sim for a newer Vodafone sim fixed the problem for me. I hope it helps someone else besides me as well. I was trying to download Gpay for my phone, unfortunately it kept saying that the version was incompatible with my device. How can I get this sorted? Thank you. Which model do you have? Is it a UK/European model or a grey import? You will see a Build Number on screen - what is this? E.g. mine is CTL-L09 8.1.0.133(C782) whereas my wife has a CLT-L09 8.1.0.157(C432); if you have an "AL" or "TL"model there may be issues. Welcome on the community and thanks for asking your question. I moved your question and all comments to this thread. Seems like you are not the only one with this problem. Please read the replies above and let us know if it fixed your problem with Google pay. There are a few apps on Google Play Store that are incompatible with a few of the Huawei phones. Did you read Max' reply? Please follow his instructions and send him a PM with your details. Since this a matter with a lot of sensitive information can you PM me with the IMEI and a few follow up questions that i will have and i will do my best to assist you in this matter. I already sent you a PM on Saturday as well as leaving this post. Did you receive that message? I have a P20 Pro and have the same issue with Google Pay as Sfchow128. I have tried to uninstall updates for Google Play Services but when I do I receive a message advising 'uninstalling Google Play Services unsuccessful'. My previous phone was a Samsung S7 and I had no problems with Google Pay. My network provider, bank and SIM are the same as I was using previously. Id say we start with the uninstalling of updates. Could you pm me with the details of the device and a few followup questions. Hi all! I'd like to add some more information in regards to this matter that might help you solving this situation. The Google Pay (and NFC payment) issue is associated mainly to Vodafone users and, as @evak2979 mentioned, you can easily resolve it replacing your SIM card for a new one. Some EE users might encounter the same problem and it is directly related to the SIM, so you shouldn't worry about it. Regarding the Bank apps for NFC payments, I'd suggest checking the settings of the app itself and verify that the wireless payment with NFC is supported and enabled for this device. If that's done, check that the app is set as a default app for payments in Settings > Device connection > NFC > and set your Bank app as a default app (Tap & Pay). Then, make sure that you enable the NFC and unlock your device when wirelessly paying with your device. I hope this helps! As always, if you request further assistance, let us know! I have the same problem, but in Ireland. The Google Pay app states "incompatible" with this version. Hi @JugglesXP . Thanks for sharing it! Could you, please, tell me what is your carrier?